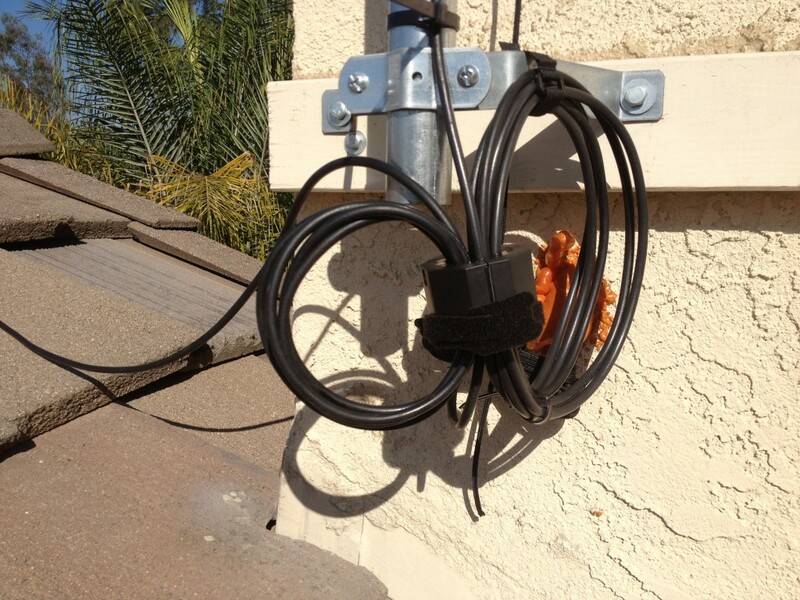 Well, the temporary G5RV was such a success, I decided to make a more permanent install with 14 gauge wire. 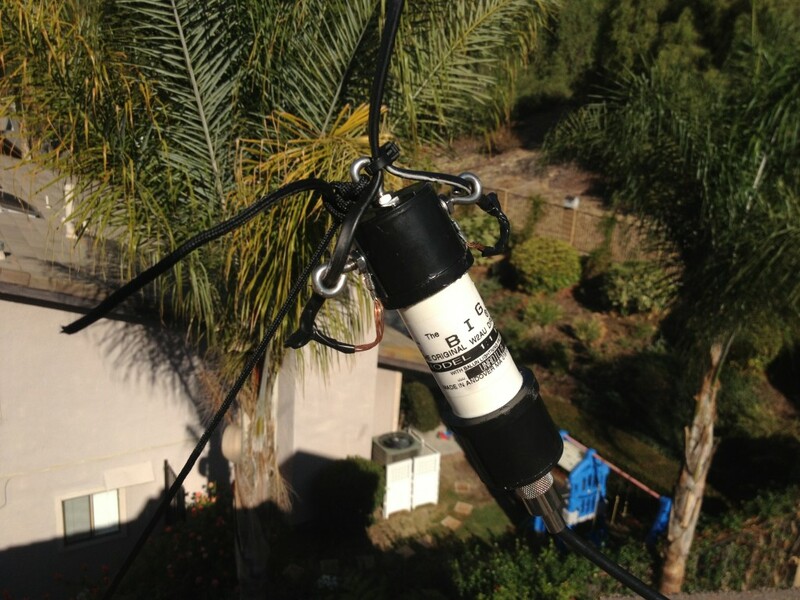 I found out that the reason my original G5RV resonance was off, was i needed to tune the 300Ohm feed ladder line before adding the dipole legs. The 31ft that most sites state for a G5RV was for a different velocity factor wire (like 450Ohm Ladder line), then the 300Ohm twinlead wire I got from Radio Shack (p/n 15-1175). The stuff I got was supposed to have a Vf=0.82 according to the website and it calculates out to be 28.5ft, but i followed the instructions on vk1od’s website about optimizing a G5RV, which suggested put a 50Ohm resister on the end of the twinlead, and tuning it to 14.150Mhz with my MFJ-269 to get a more precise length. In the end I had to cut off 3ft, shortening it to 28ft, which explains why resonance was so low. 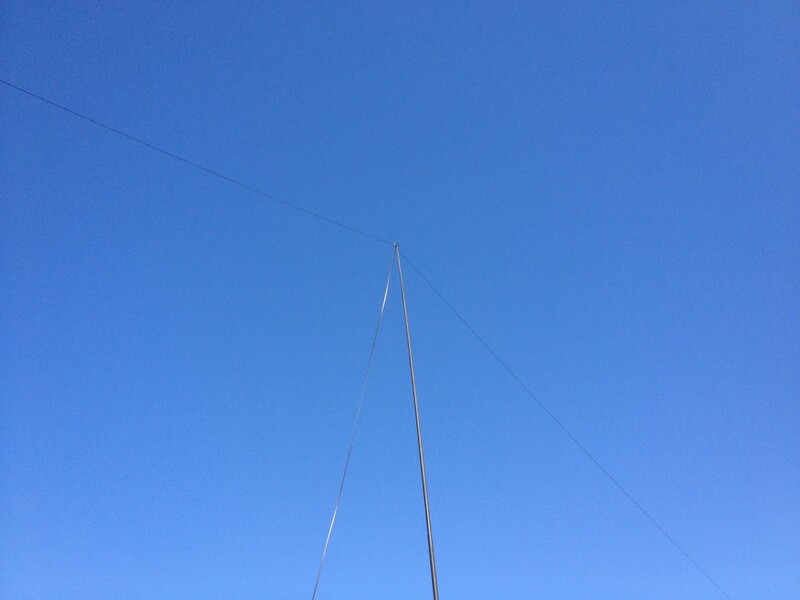 Then I added the 51ft legs of the dipole, and tuned them to 14.150Mhz too. 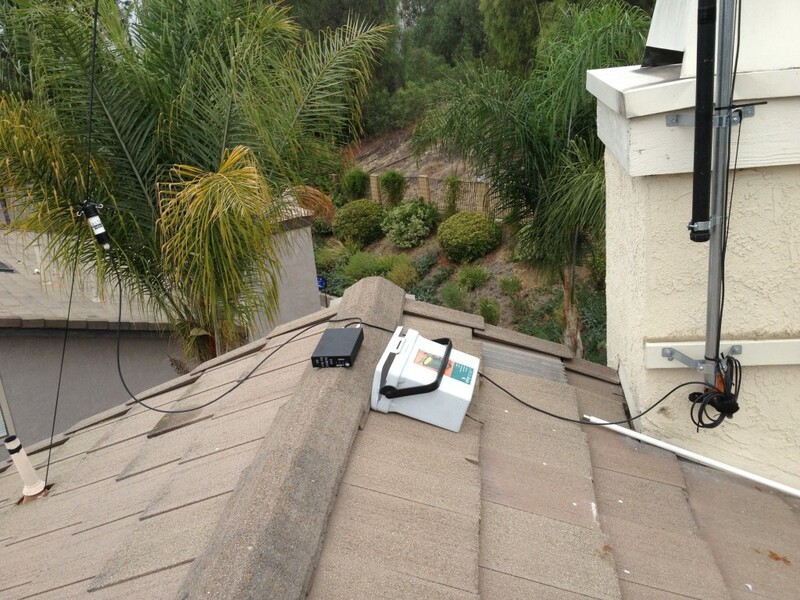 Once I got it up on the roof, I get a 1.6SWR at 14.150Mhz. I also decided to add a Unadilla W2AU 1:1 balun at the bottom of the G5RV, and have a 6 ft RG8x cable to the LDG Z11ProII tuner with 6xAA batteries inside, which then feeds a 50ft RG8x cable into the house to the radio. If you notice in the picture, I have a FairRite Mix 31 Clamp-on choke with 6 turns to prevent common mode currents too. I keep the tuner in the box, out of the weather, but I’ll eventually get something a little more water tight. I’ve been doing A/B antenna test between the DX-CC and G5RV and the biggest difference is in the noise level. The DX-CC constantly has about a 2S higher noise level then the G5RV across all the bands. But the biggest improvement with using the G5RV has got to be 80m band, which I can hear stations, that would otherwise be buried in the noise on the DX-CC. I think this has to do with the traps shortening the antenna and the fact the DX-CC is 20ft lower, probably getting more noise from the house electronics too. 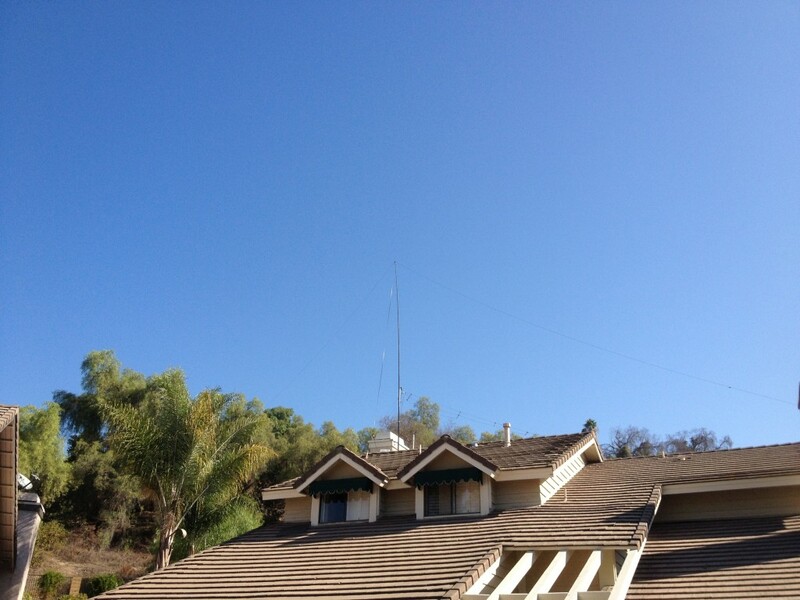 My wife is a bit disturbed by the looks of the tall antenna, but I’m gunna keep it up there, as long as I am active looking for QSO’s or find something with better performance. 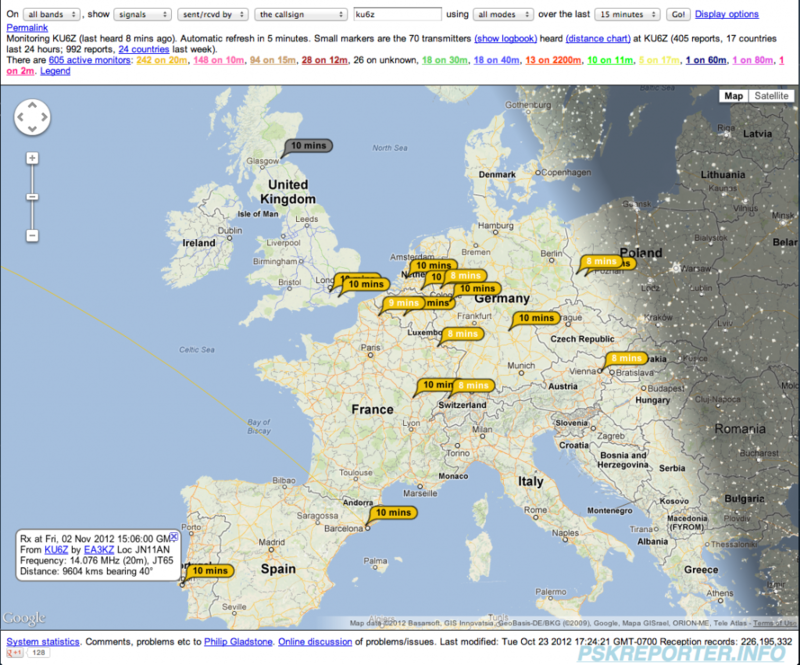 DX is looking good on 20m into Europe, which has always been difficult for me. 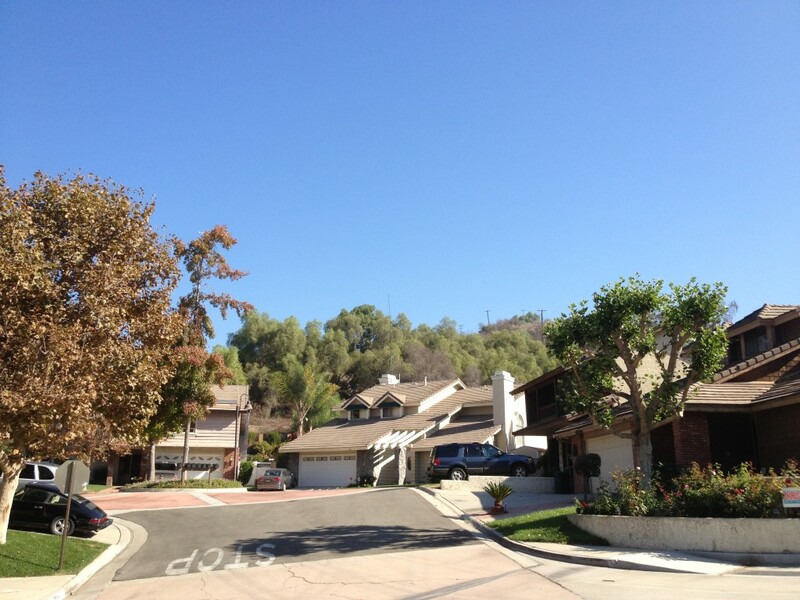 Next project is a 80m loop.